We optioned the more powerful Hydraulic disc brakes as opposed to cable set up to increase power and reduce the force that’s needs by the kids to squeeze. 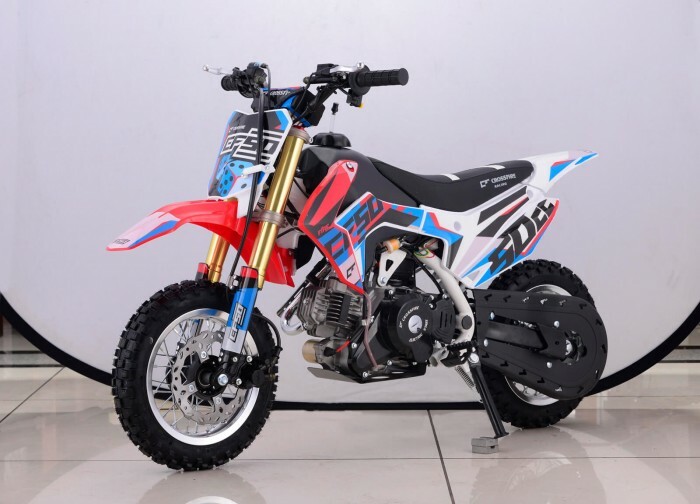 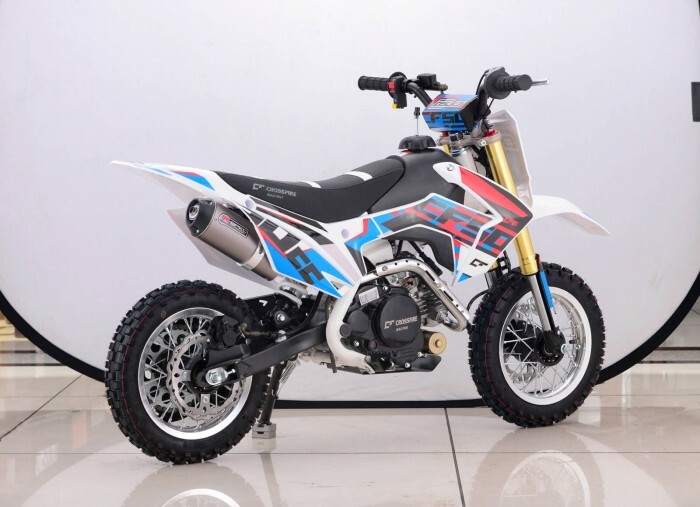 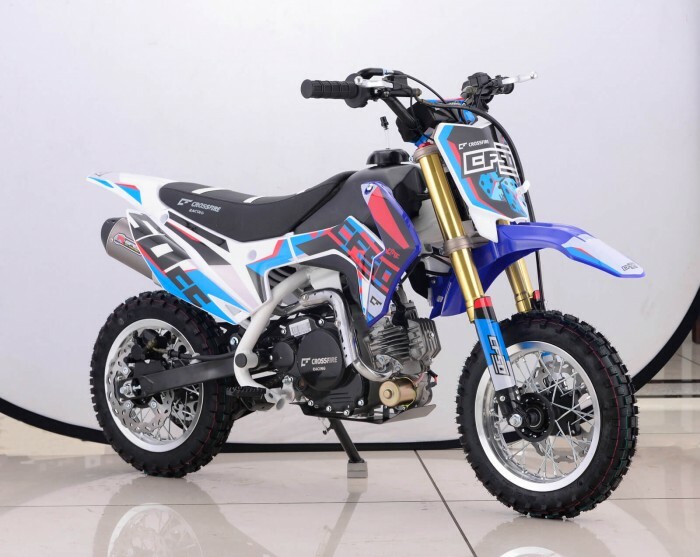 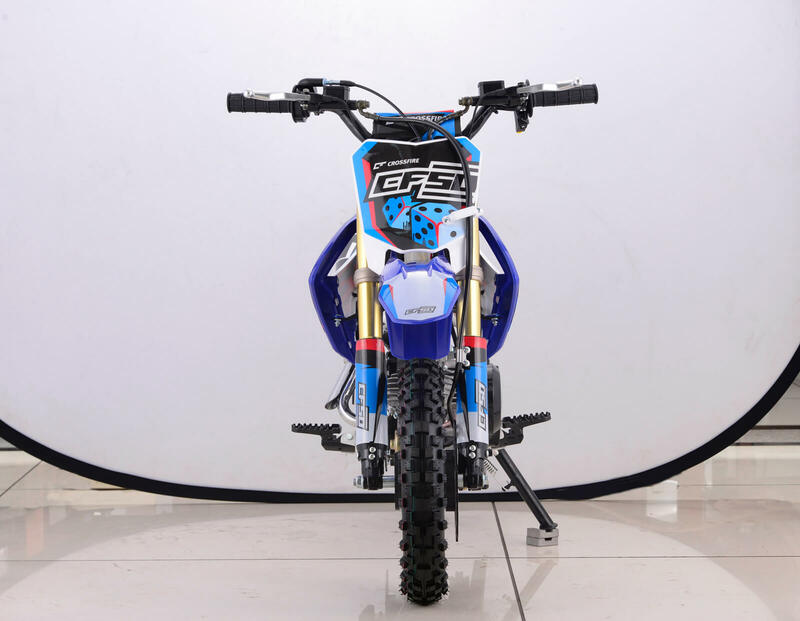 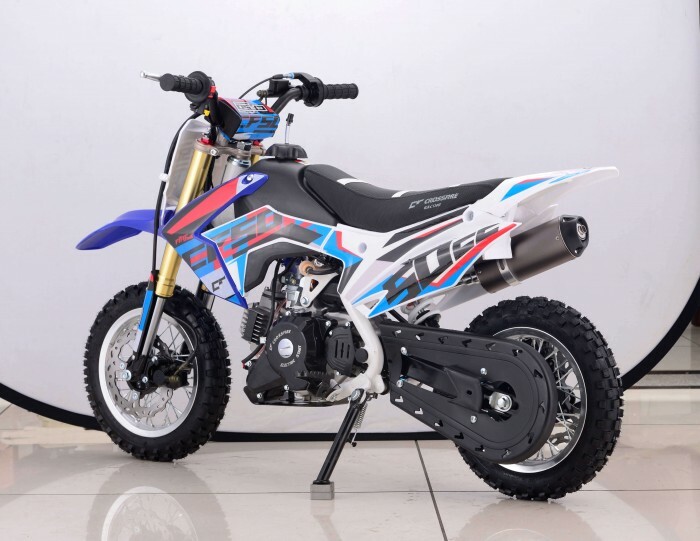 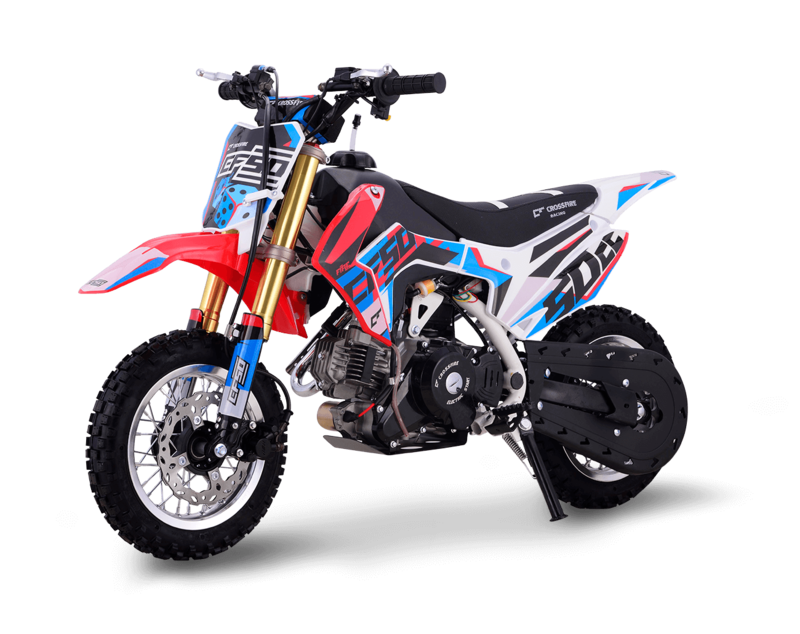 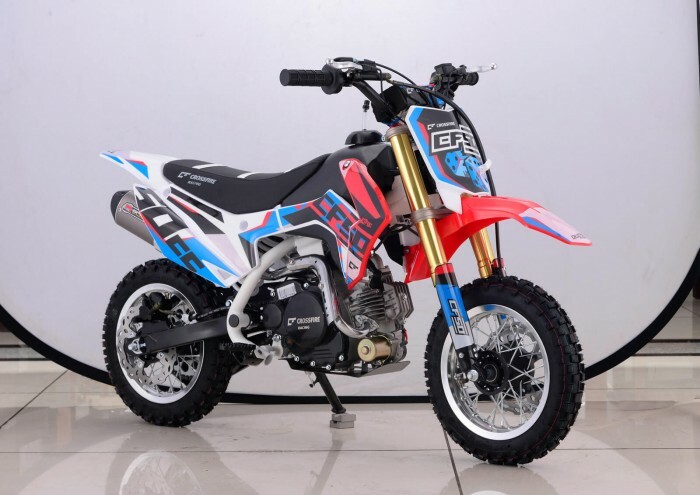 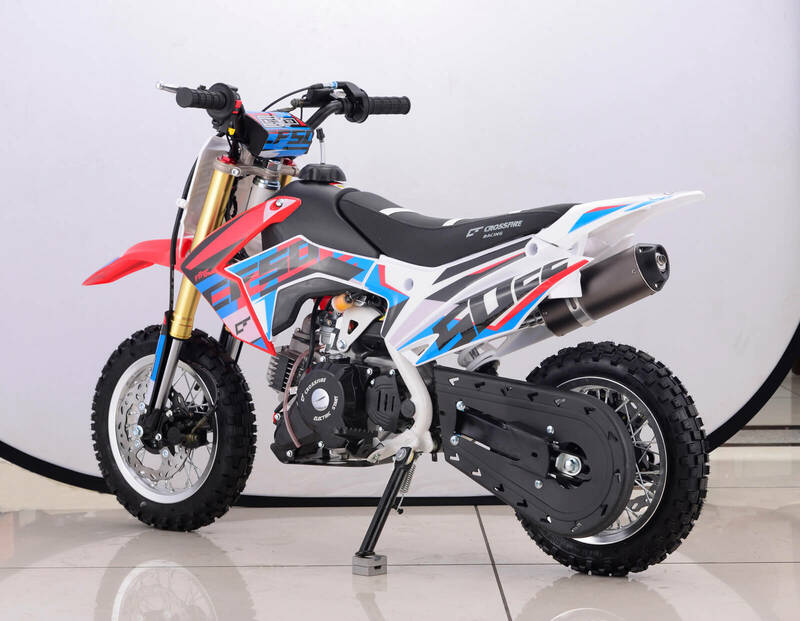 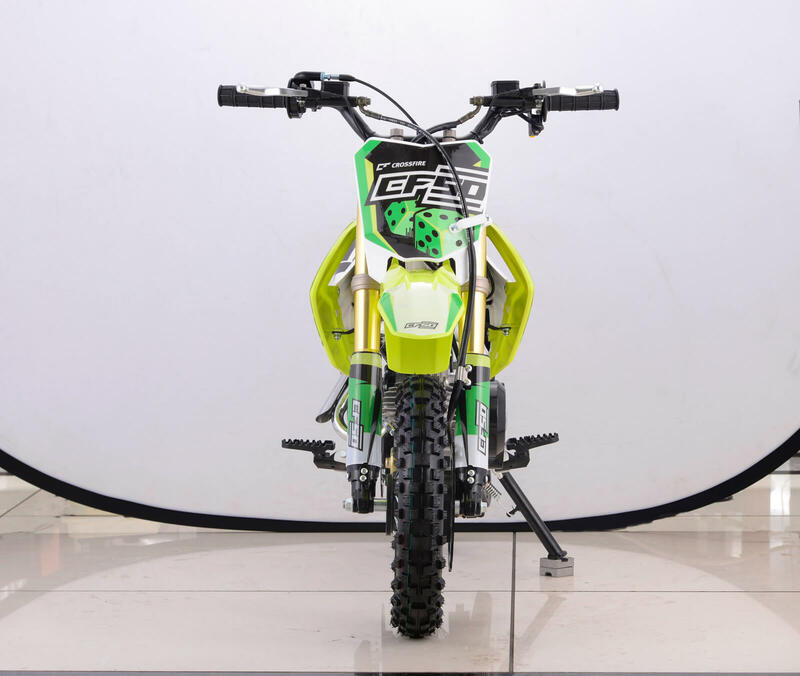 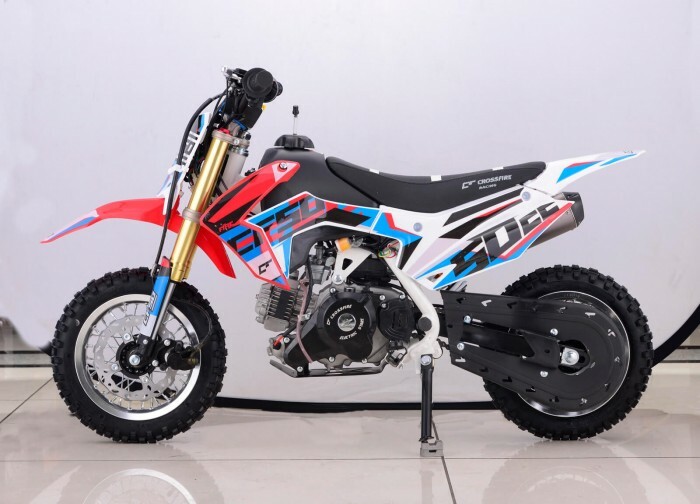 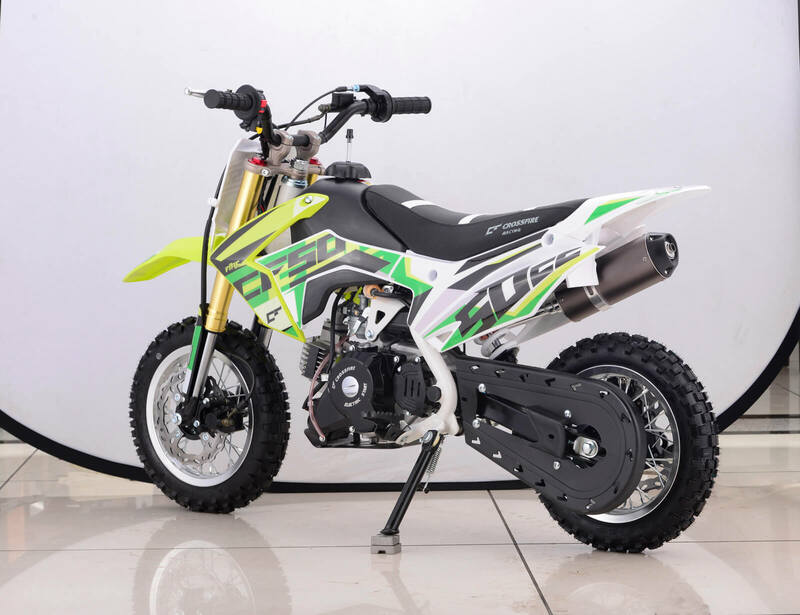 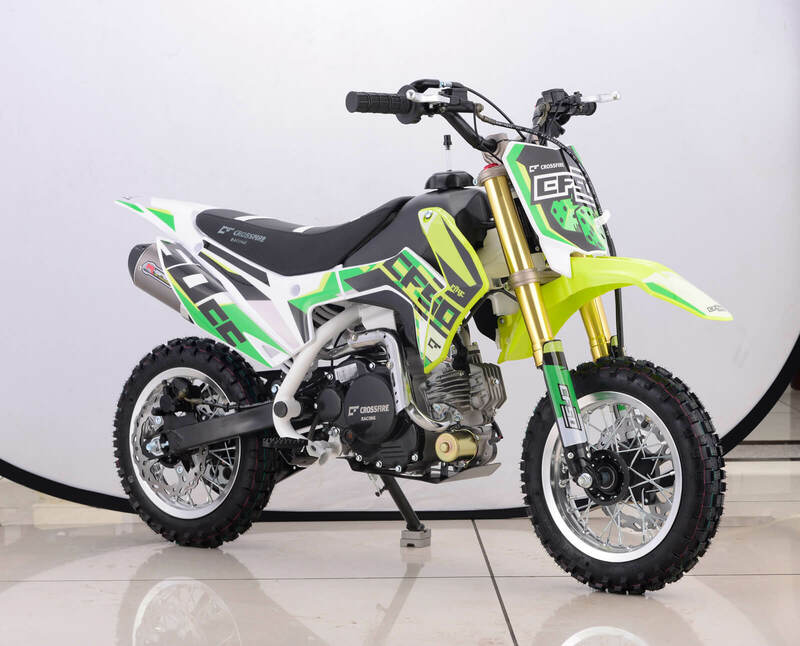 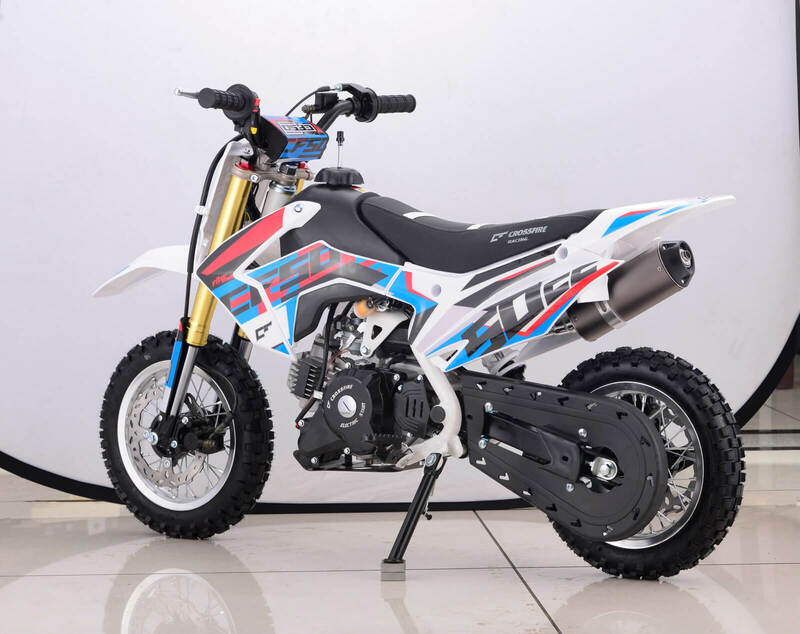 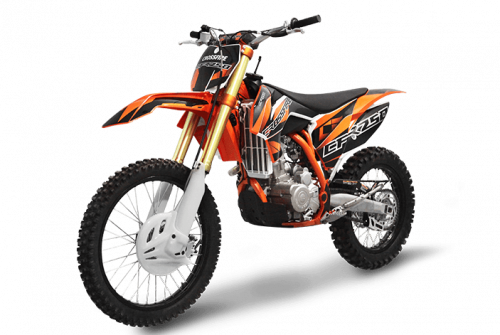 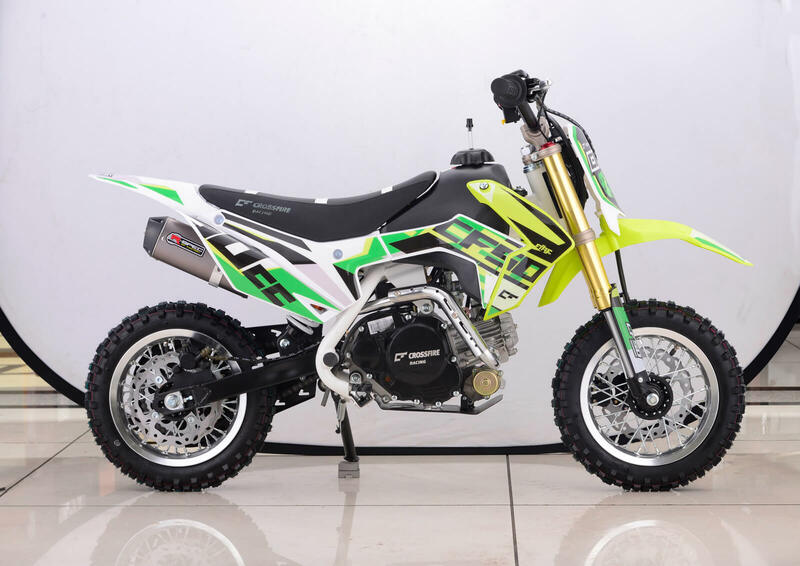 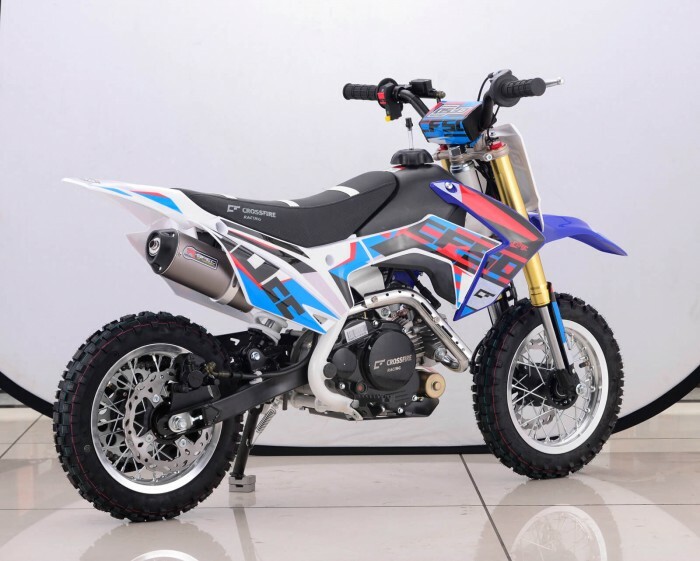 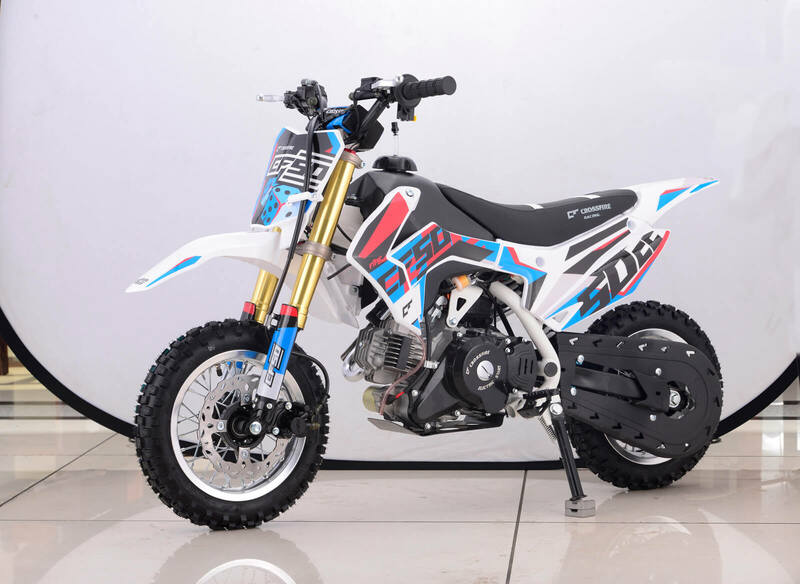 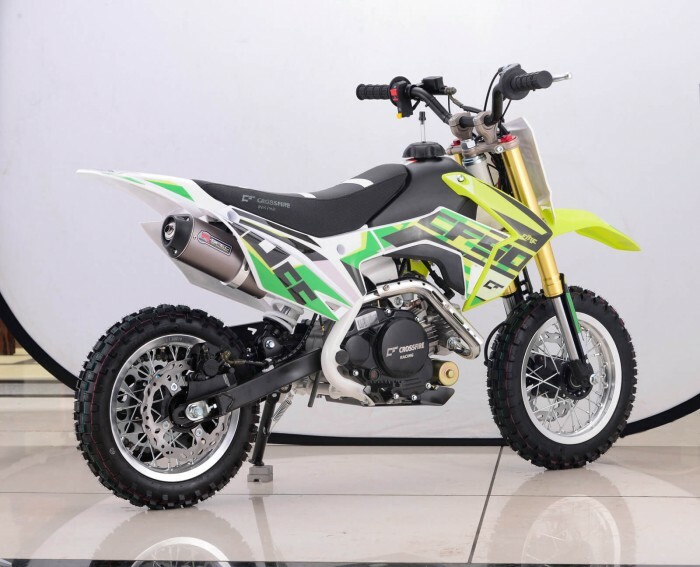 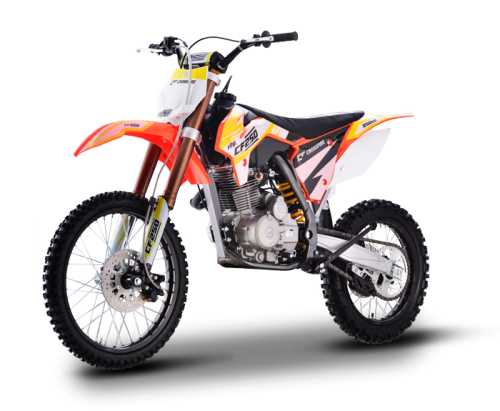 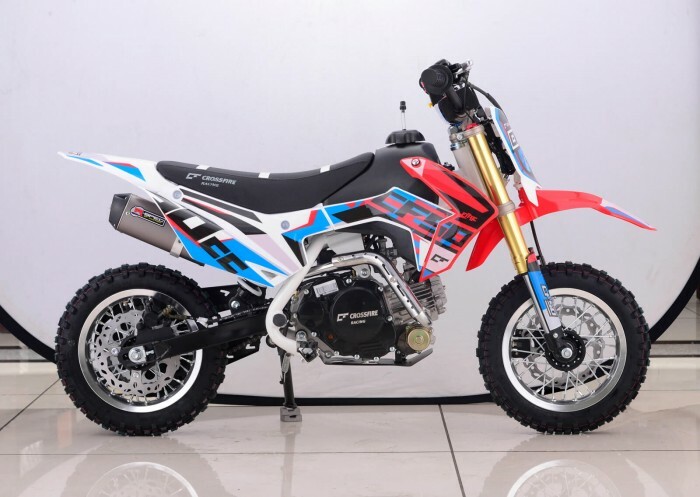 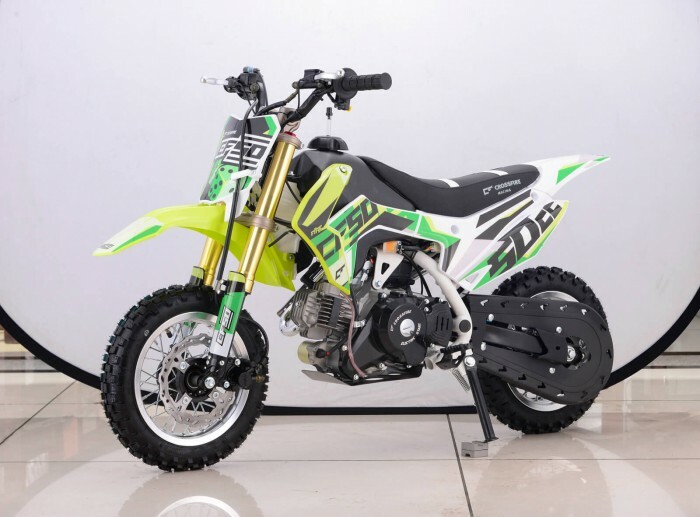 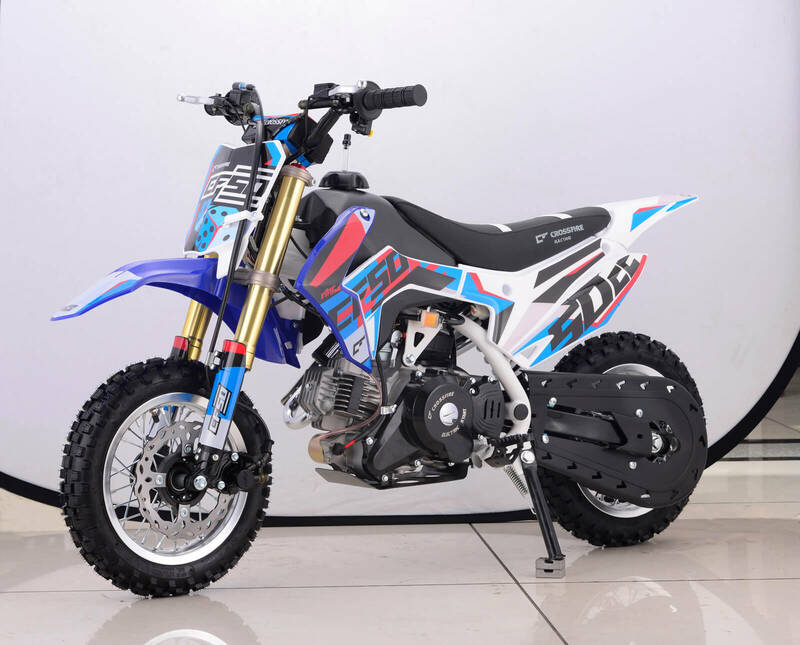 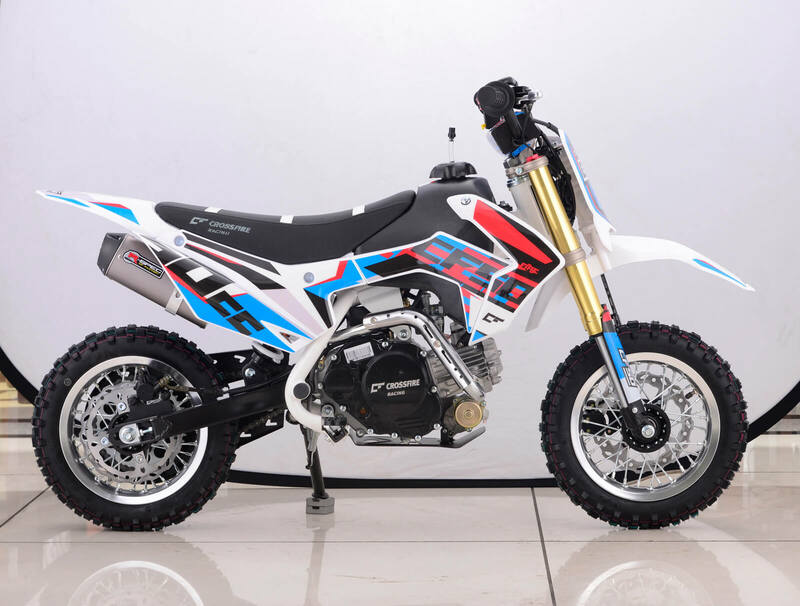 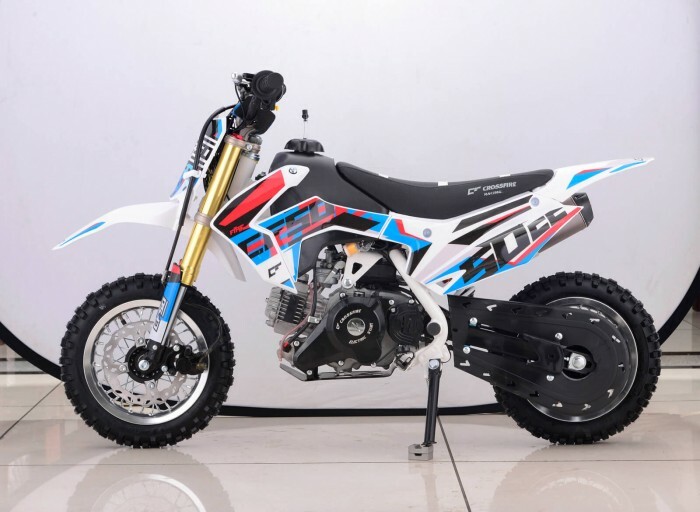 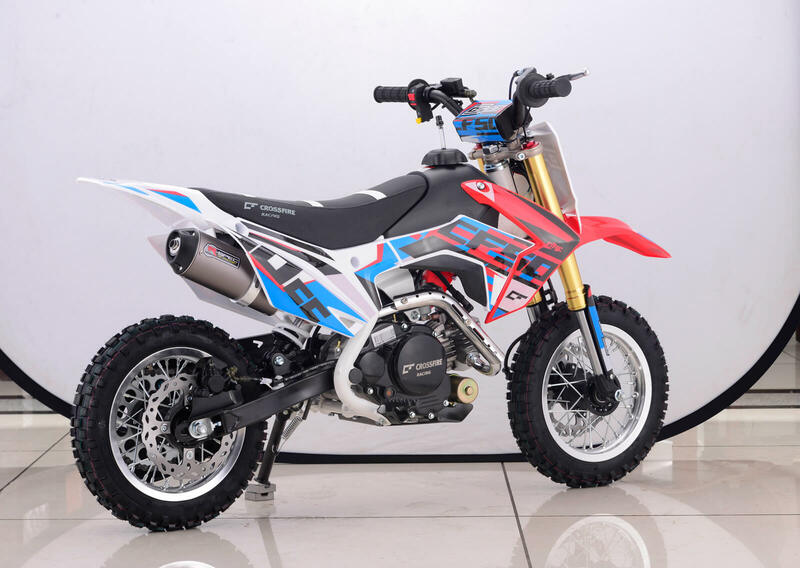 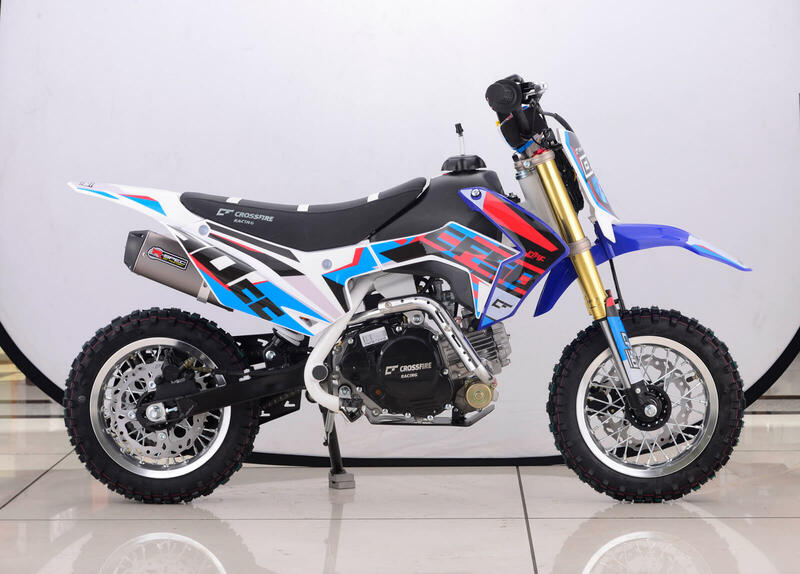 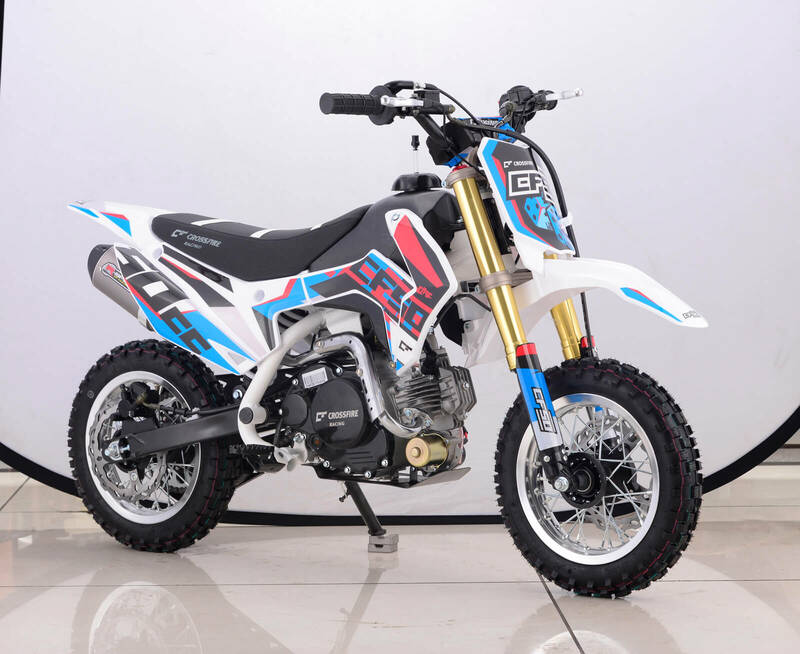 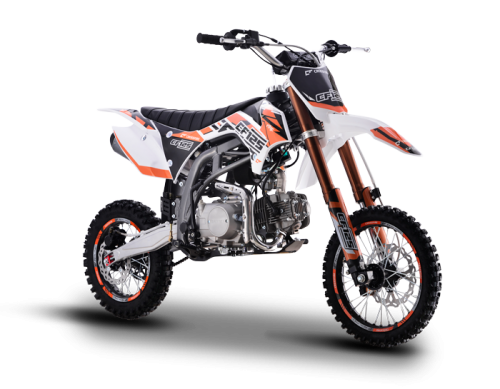 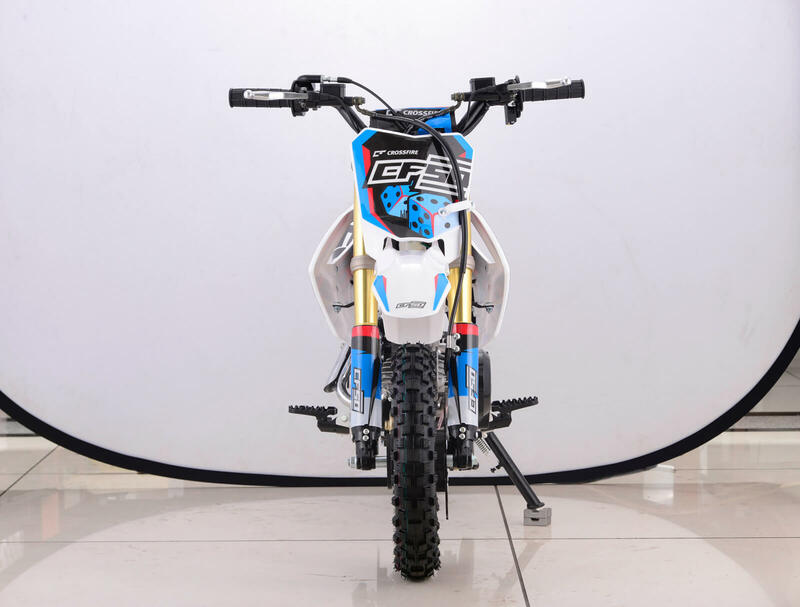 If you are in the Market for a Fun bike or mini bike or just a motorbike for the children have a look at the Crossfire CF50 at your nearest Crossfire dealer. 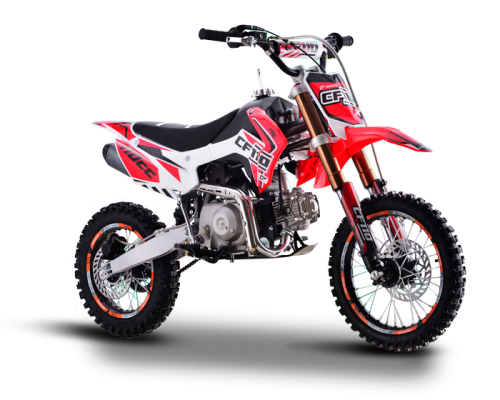 Genuine Crossfire Training wheels are available for the CF50. 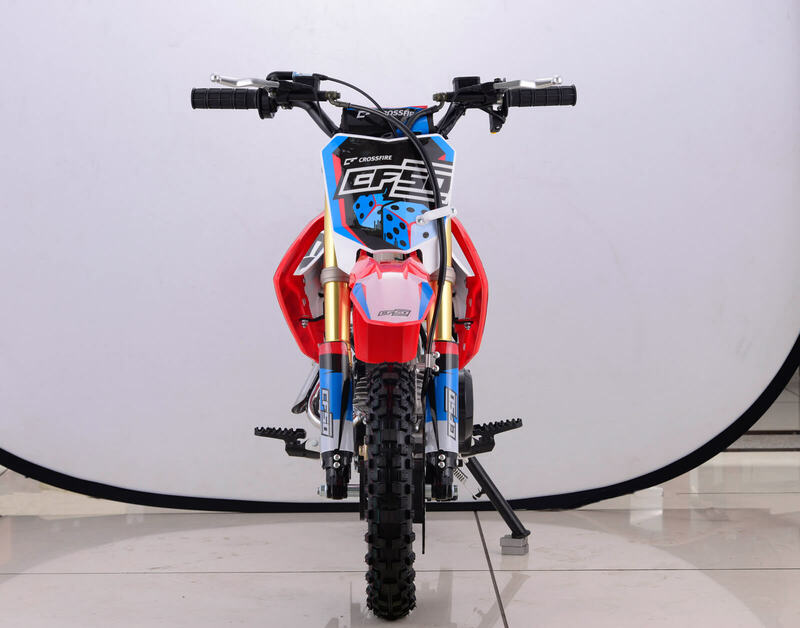 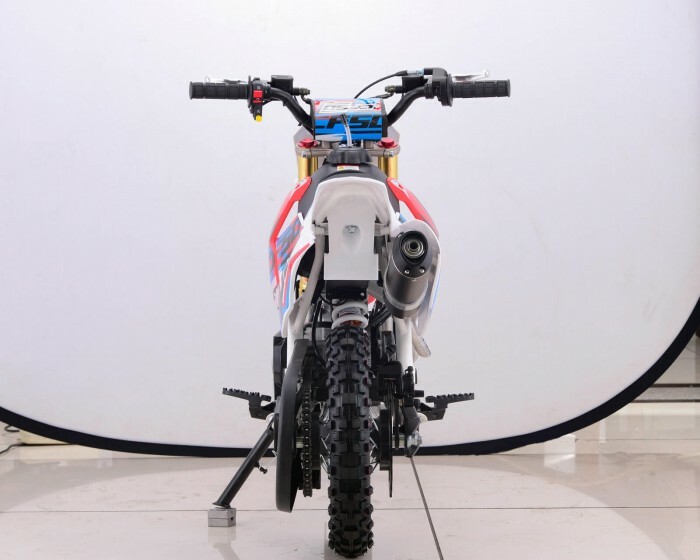 Please ask your local dealer for this riding aid.